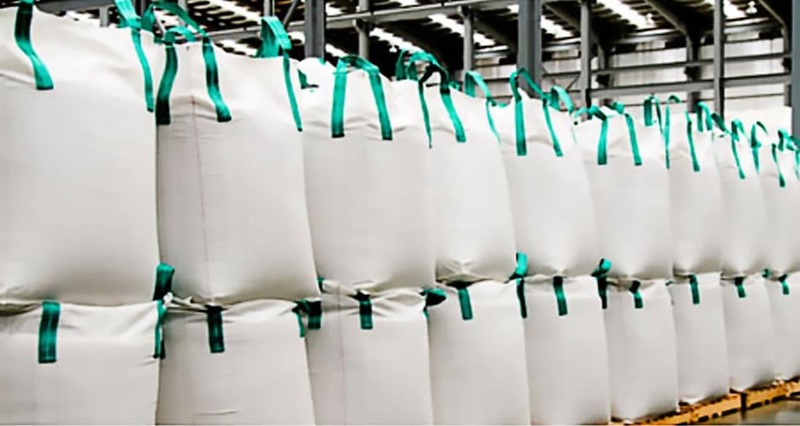 During the past 30 years, the usage of the fibc has increased as it can be easily filled, safely transported and discharged in comparison to small bags. In addition to its enormous economic benefits. Our mission is to introduce superior quality and provide our customers with the best customer care service which made us the leaders of the market, not only in the middle east but also worldwide. On the other hand, our vertical integration in manufacturing has made us win the first standard of consistence and reliability. FIBC’S are one of the most cost effective and ideal types of packaging for shipping and storing dry bulk products. They are made from either tubular or flat polypropylene (PP) woven fabrics. 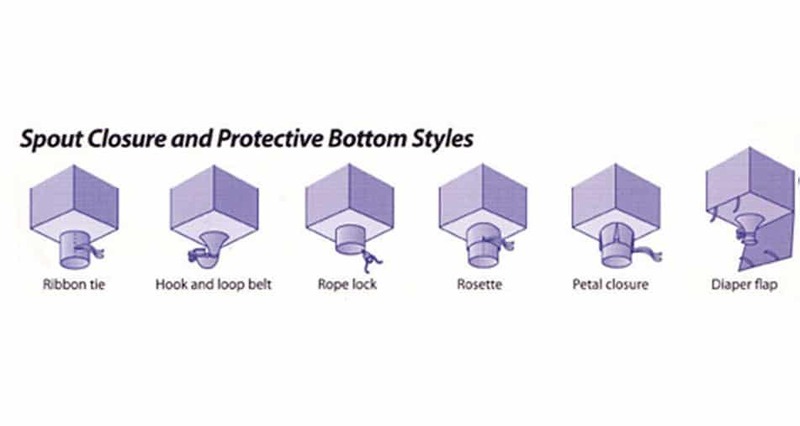 These fabrics can be both coated and uncoated and with different weights depending on the requirements of the Safe Working Load (SWL) & Safety Factor (SF). FIBC can be as simply made with an opened top, flat base or it could be made by either filling and discharged spots. As for the big bag, we make it in a clean room production environment in order to be used for food and pharmaceutical industries. These units indicate the maximum weight-bearing capacity of the FIBC related to a nominal weight and the linked safety factor. Especially for potentially hazardous goods these indications are vital as cracks have to be avoided under all circumstances. 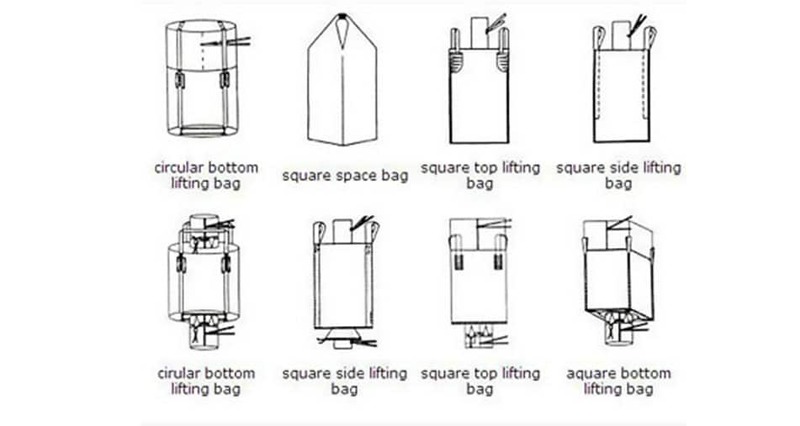 According to the EFIBCA standards the following categories are used: single trip, standard duty as well as heavy duty. 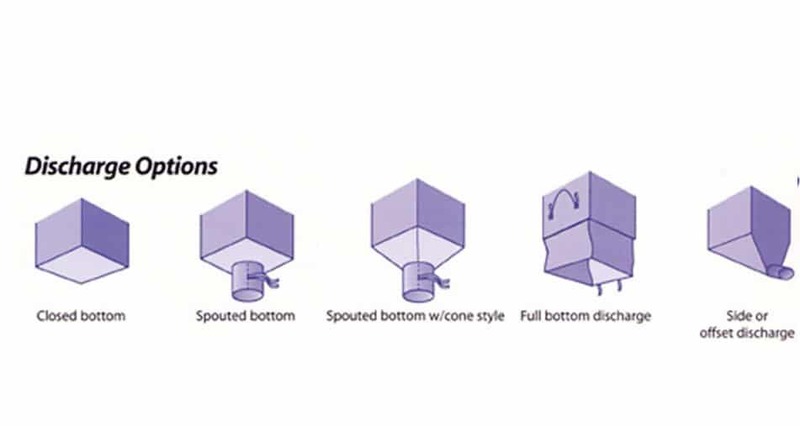 The characteristics of goods to be transported are the guideline for the choice of the so-called “dust proofing”, which of course has to be a different one for coarse-grained material compared to fine, in addition to the liquid powder that should be used here in order to avoid leakage of the contents. Due to the characteristics of the basic material (polypropylene) it is not advisable to store the FIBC in the sun without protection over a longer period of time. However, for limited periods in which sun radiation is unavoidable it might be useful to enhance the material with UV stabilization so that the contents stays safely packed. Circular or flat fabric , Lifting loops sewn cross corner. Design is constructed utilizing inner baffles which help to maintain the cubic form once the FIBC has been filled. 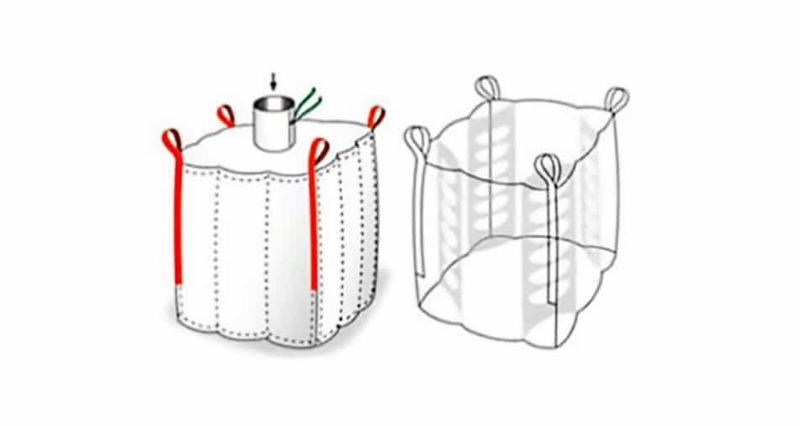 These baffles are manufactured specifically to allow the material to flow into the corners of the bag. 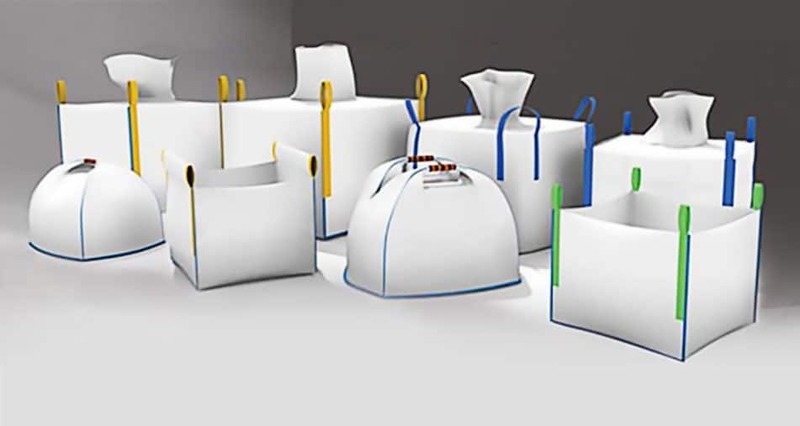 Due to the cubic shape design of the Q bag, it requires less storage space and reduces transportation costs by 25% up to 30%. Is designed specifically to assist in the discharging of contents, which are slightly sticky such as brown sugar. Some bulk materials can create electrostatic energy during filling and discharging process due to the presence of flammable dust or gas within the atmosphere which may cause the risk of creating fires or explosions. To prevent this hazard, a conductive FIBC’s is the ideal solution. 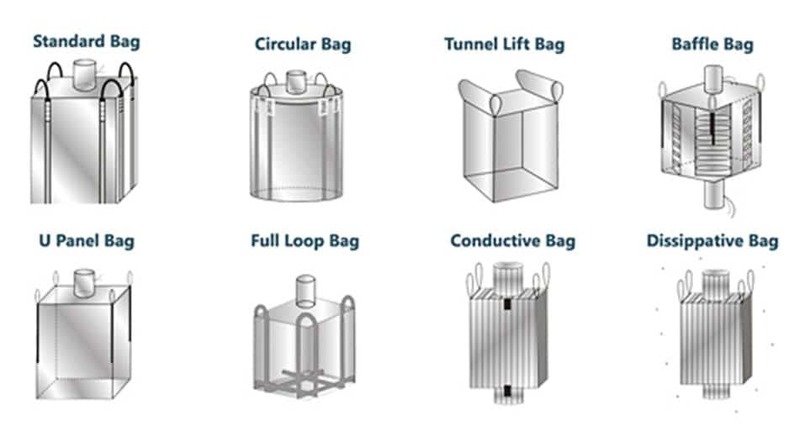 Conductive FIBC’s are also classified as Type C big bags. The conductivity of these units is usually provided by carbon tapes which are woven into the fabric and the webbing. Silver tapes are used instead of carbon for food applications. The body construction of the FIBC can be produced out of a flat or circular fabric either coated or uncoated. Conductive liners are also available for use if waterproof applications are required. 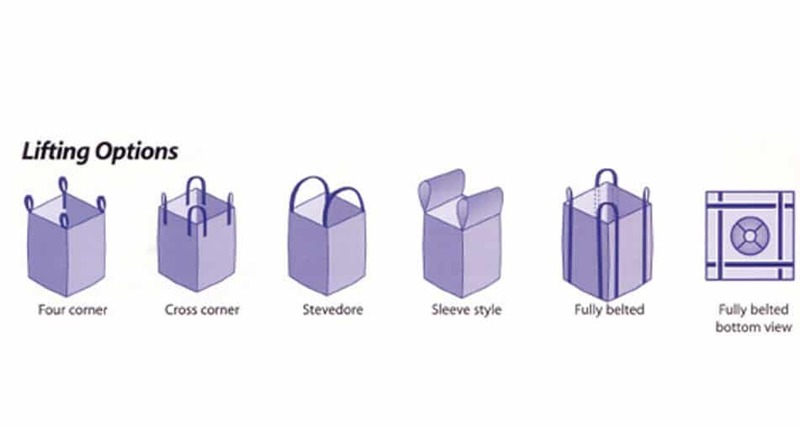 UN big bags have a unique coding system; this system explains the characteristics of that particular big bag. This coding must appear on both opposite sides of the big bag for clear identification. No protection against electrostatic discharge. Type B’s are similar to Type A’s, but with a thin coating which results in a breakdown voltage of less than 6 kV . Grounded during filling and discharging to safely dissipate static electricity. Type C’s have an interconnected grid of conductive threads and grounding tabs. Static charges are dissipated by the corona effect, and grounding of the FIBC is not necessary. Type D’s have antistatic fabric with permanent dissipative threads. Non-combustible products in non-flammable surrounding. Certain flammable products and in the presence of flammable gases or vapors with ignition energies ≥ 0,14 mJ. 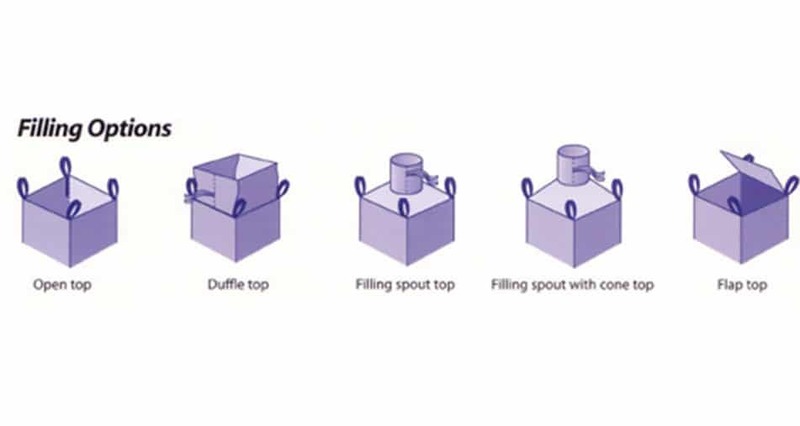 Low cost of packing in regard to the filling capacity. Quick filling and discharging, this saves time. Pallets are not necessary as they can be lifted by their loops. Space saving as they are stackable. Can be used as final or intermediate storage even in an open area because they are UV-stabilized. Water and dust proof designs due to inside PE liner or fabrics laminated; hence, stored materials are protected from outside humidity. Optional PE pockets for identification documents.